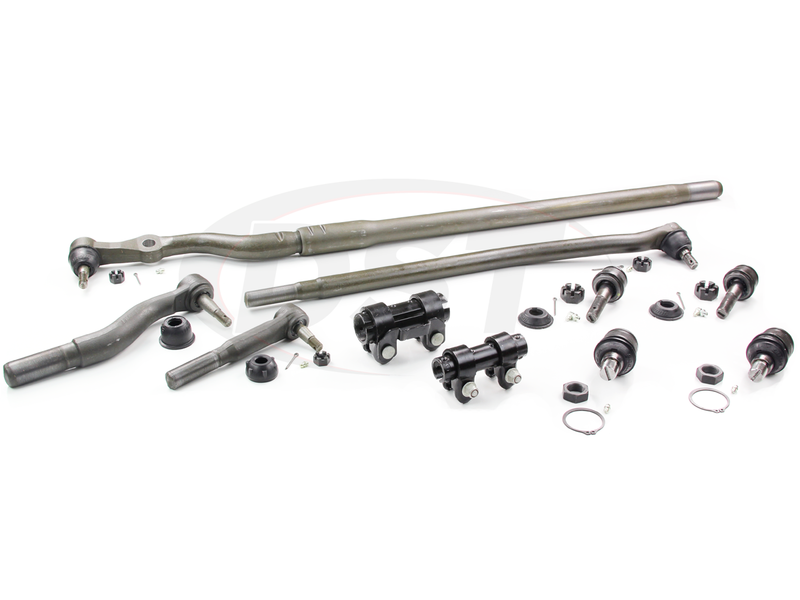 This complete Front End Steering Rebuild Kit for your 1999-2004 Ford F250 & F350 SuperDuty will help prevent uneven tire wear and save you money. Diverse Suspension Technologies steering rebuild kit is a direct factory match for your Ford and will prevent misalignment. Not to mention Moog's 'gusher' bearing design and zerk grease fittings, so you can worry less about the hassle of greasing and focus more on what's important. *F250/F350 SuperDuty 2WD Twin I Beam Require a Different Kit. *F250/F350 SuperDuty 2WD Monobeam Axle Require a Different Kit. You might be asking yourself, "What's so special about this kit?" Well for starters this steering rebuild kit has both front upper and lower ball joints for the driver and passenger side of your Ford. Don't forget these ball joints are durable, easily serviceable and use Moog's 'gusher' bearing design, meaning they reduce stress on the ball joint. Did I mention that these ball joints also have zerk grease fittings AND neoprene dust boots for a solid seal that keeps out harmful road grime? If that wasn't enough for you this kit also comes with all four tie rods, along with the two tie rod end adjusting sleeves. These sleeves are made of durable steel and coated for corrosion resistance. Now you know what's in the box let's talk about the benefits of DST's steering rebuild kit. Now if your tie rod ends are shot you might have noticed your F250/F350 pulling or if your ball joints have failed you may have experienced a shaking front end or loose steering. Now, these pesky problems can lead to some serious problems, such as misalignment of your Ford, uneven tire wear and a less dependable truck. 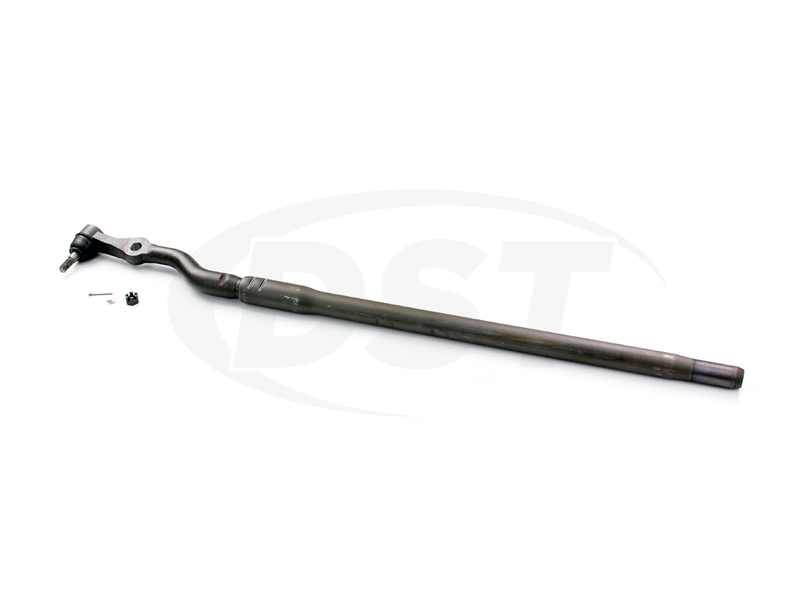 With DST's Front End Steering Rebuild Kit complete with Moog's problem solver tie rod ends, you can ensure that your Ford's steering ability is increased and that it stays dependable. 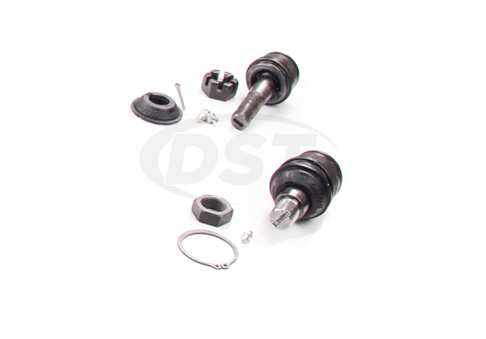 Buying all these ball joints and tie rod ends separately can be difficult, not to mention stressful, but here at DST we've taken the stress out of it with our Complete Front End Steering Rebuild Kit for your 1999-2004 4WD Ford F250 & F350 SuperDuty. Here at DST we personally stand behind our parts and handle all of Lifetime Warranty in-house. We want you and your Ford back on the road as quickly and easily as possible, which is why we offer fast and free shipping on all orders over $119. If you have any questions or concerns you can give us a call or live chat with one of our expert customer service team members. starstarstarstarstar" Very satisfied, packaging took a beating put no parts were damaged. " Great service, great staff very helpful, great parts (moog, \nno brainer) with this complete kit I was able to remove, measure and replace all steering arms as one unit. Piece of mind with everything new was well worth it. Thanks! starstarstarstarstar" It feels awesome! " Will this fir an early model 99 f250 4x4 light duty? The moog_packagedeal012 is fitted for the light duty 99 f250. If you have a VIN number please email it or open a chat and provide it to our reps so we can make sure you are getting the correct kit! Will the kit moog_packagedeal012 work on a 2004 F-250 4WD Diesel? Yes, it is fitted for a 2004 F-250 4WD Diesel. Can I order the packagedeal012 without the ball joints included? I do not need them. No, packagedeal012 is pre-packaged, so we cannot take the kit apart. You would have to order the other parts individually. Will the moog_packagedeal012 fit on my 2012 Ford F250 4x4 diesel pickup? No unfortunately the moog_packagedeal012 is only fitted for the 99-04 F250 super duty. Do you make a front end kit for rear wheel drive trucks? Do the parts in the moog_packagedeal012 kit come with grease fittings? Yes, the parts in the moog_packagedeal012 kit come with grease fittings. For the front end steering rebuild, package-where is it made? Also, the front sway bar what is the stock size? Will the moog_packagedeal012 fit my 2003 f 350 dually 2WD? No, the moog_packagedeal012 will not fit the 2003 f 350 dually 2WD. Will the moog_packagedeal012 fit my 99 F250 Super duty 4x4 pickup? The moog_packagedeal012 is fitted for the 99 F250 Super duty 4x4 pickup. I have 1999 F350 4wd, 7.3, manual, red cab, single wheel drive. Does the Moog front replacement kit have all the parts I need to repair my front end to stock new? Yes, moog_packagedeal012 will repalce all the steering parts on your front end on your 1999 Ford F350 4X4. Are all the parts in packagedeal012 made in the USA? Moog makes their parts all over the world. The only way to tell where the part is manufactured is to look at the label on the box to see the country of origin. No matter where the parts are made they will have the Moog limited lifetime warranty. 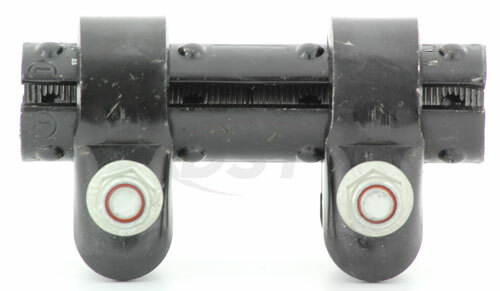 Do you offer a front suspension package deal without the ball joints? I have already replaced my ball joints, otherwise, this would have been a perfect package for me. Unfrotunasltey we do not. 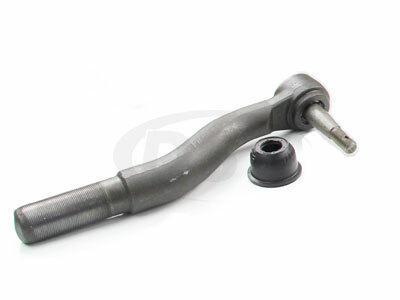 You will have to get the inner and outer tie rods and adjusting sleeves purchased individually from the kit. I do apologize for this inconvenience. Will part number packagedeal012 fit my 2004 f250 4wd? Yes, part number packagedeal012 will fit the 2004 f250 4wd. Will part number moog_packagedeal012 fit my 2010 Ford F350 4wd? No, part number packagedeal012 will not fit the 2010 Ford F350 4wd. You will need part number packagedeal304. What is the shipping weight of part number packagedeal012? Part number packagedeal012 has a shipping weight of 50.507 lbs.